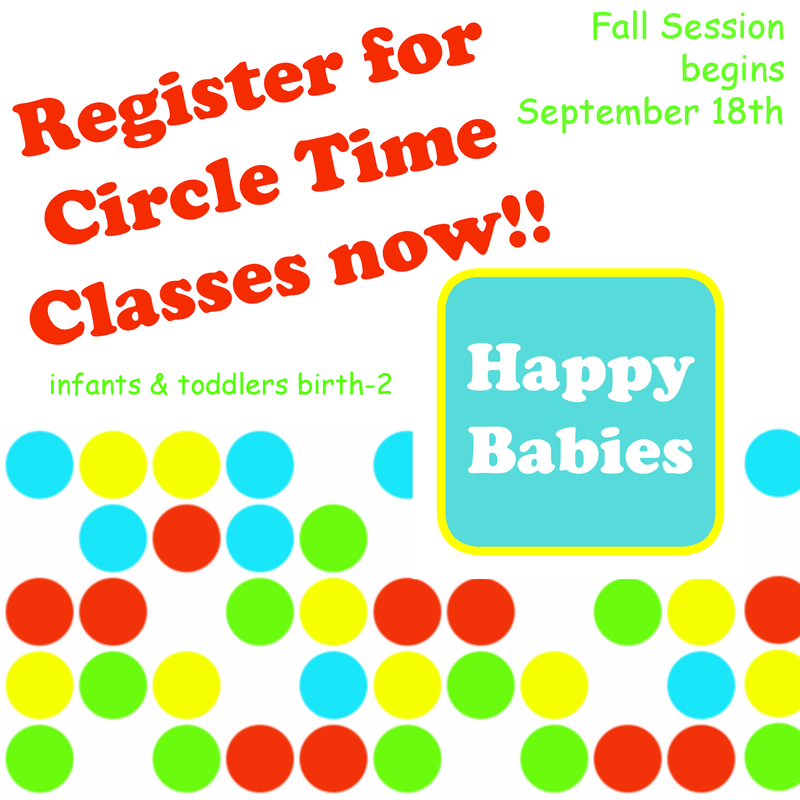 Happy Babies: Register for Infant & Toddler Circle Time classes now! Register for Infant & Toddler Circle Time classes now! 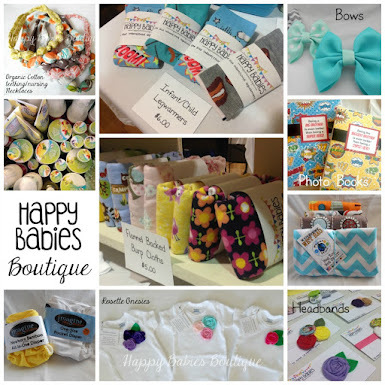 **Currently there are two levels of Happy Babies classes. Happy Babies and Happy Tots. Since children grow and develop at their own pace and reach milestones at different ages, the two classes are separated by developmental ability, not specific age. 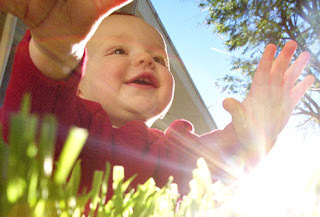 Happy Babies (Thursdays 10:00a- 10:30a) is for infants and pre-walkers. There is no specific starting age. 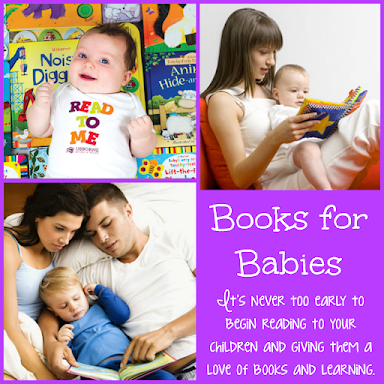 Newborns are welcome as a child is never to young to learn from their environment and listen to songs and stories. It is up to the parent to decide when they are ready for their child to attend a Happy Babies class and be around other infants. Happy Babies is for the infant who is not yet walking. Emphasis is placed on activities for babies and their caregiver to do together, encouraging the bond being formed between them. Once your happy baby decides that walking is the only way to get around, they are ready for Happy Tots! This circle time class is for babies ready to play, learn, and explore their environment in new ways. More music and movement activities as well as action rhymes are incorporated to encourage body awareness and motor development. 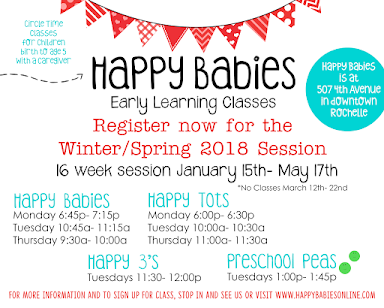 For more information on classes and the Happy Babies program, visit our About page.